Almost two weeks ago, Sears announced that it will close 142 more of its stores, including a store in Ridgedale Center and one near downtown St. Paul. But it wasn't until Friday that the liquidation sale started. 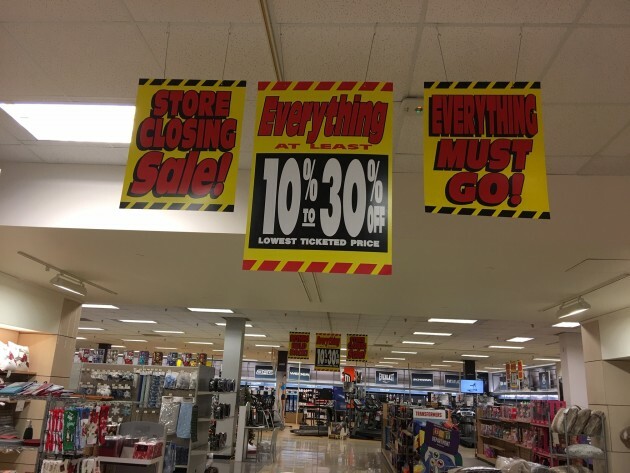 The yellow, black and red "Store closing sale" signs will look familiar to bargain hunters who went to the Herberger's closing sales. Although the liquidation company has not yet been confirmed, the sale is starting with the same discount range--10 to 30%. Only a couple of shoppers were scoping out the prices after the Ridgedale location opened Friday morning. 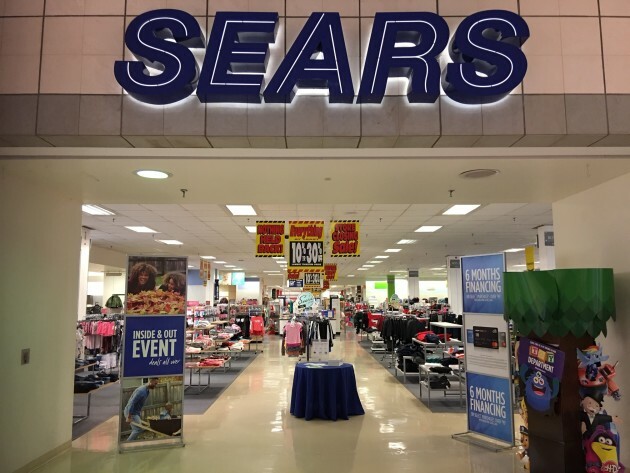 Sears officials kept details of the liquidation fairly quiet until earlier this week when employees were notified that the sale would start Friday. Sarah and Ben Robertson of Plymouth were getting some exercise with their toddlers but did not plan to check out Sears yet. "Ten to 30 percent off doesn't hold any appeal for us," said Sarah. "It would have to be a steal--maybe 70% off. We're more likely to shop Sears." Consumers have grown accustomed to minimal discounts in the early days of a liquidation. On Wednesday, 40 percent off signs were common throughout the apparel departments but all had been removed except for the Lands' End department. A few clearance items sported steep discounts, including a king-size Serta adjustable base mattress normally $8,000 marked down to $850 as a floor model. On Wednesday one Sears employee who worked at the Eden Prairie Sears until it closed said that prices during a liquidation go up before they go down. Appliance prices on floor models, for example, usually don’t get substantial discounts until a few weeks before closing. According to a Worker Adjustment and Retraining Notice dated Oct. 15, employees are likely to work through Dec. 31 give or take a couple of weeks. Most Bon-Ton stores, including Herberger’s, extended their liquidation sale by eight weeks after early shoppers looking for bargains left empty handed, but its too early to know if Sears' sale will be extended. Target launches early turkey price war — 59 cents per pound through Sat.